A comprehensive waste audit and evaluation service is available, for healthcare establishments and others generating or responsible for the management of clinical wastes, waste disposal contractors, cleaning contractors, Local Authorities etc, to encompass all aspects of waste management including waste collection and segregation, packaging and storage, handling, transport and disposal, and all aspects of environmental and personal safety. All healthcare establishments including Hospital and Ambulance Trusts and PCTs/CCGs should undertake, at least annually, a comprehensive audit of clinical waste management. It is the responsibility of senior managers to establish and maintain effective waste management arrangements, which must be properly monitored and regularly audited. The existence of any policy, no matter how comprehensive that policy may be, is not in itself indicative of satisfactory practice and robust and independent audit procedures are essential for monitoring of performance. Audit may be undertaken in-house. Although often convenient, in-house audit undertaking rarely provides the best financial option, is prone to error and omission, and may be critically compromised by lack of independence. Put simply, familiarity encourages complacency. Properly performed, audit provides the information necessary to develop and deliver a structured waste management plan. It will provide key information regarding the composition of individual waste streams and the accuracy of waste segregation and waste minimisation schemes. This proves invaluable to identify accurately the location, type and quantity of waste produced, to identify possible options for appropriate re-use or recycling, and to identify opportunities for waste minimisation. Crucially, audit plays a vital role in demonstrating compliance with regulatory standards and compliance, in line with the Duty of Care, to ensure that waste is effectively segregated, safely and securely handled and stored prior of removal from site, and treated and disposed of appropriately. 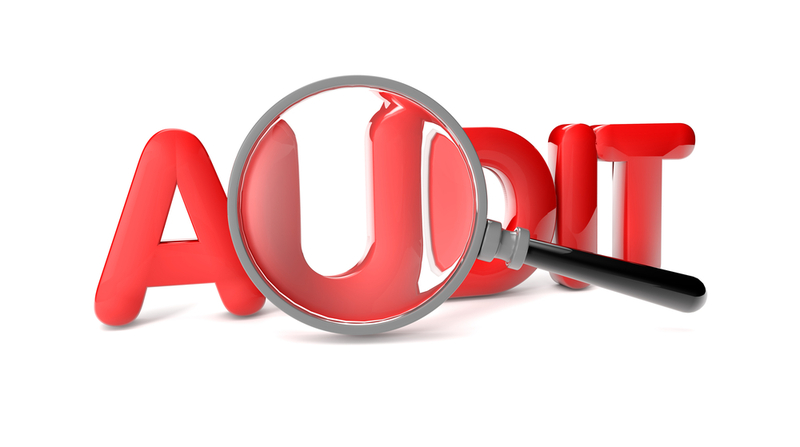 We perform audits in collaboration with, not independently of, your own staff. Before starting, we will discuss at length the needs of the organisation, and thereby costs, to offer a package price and schedule of works. This opportunity for prior planning is essential to effective audit, and additionally ensures that areas of particular concern are assessed in sufficient detail. In this way, any recommendations made may be both advantageous and realistic, cost-effective, and not in conflict with but instead complimentary too current Infection Prevention and Control activities. This is an important and almost certainly unique approach used by Blenkharn Environmental. With a background in waste management, microbiology and hygiene, and infection prevention & control, we are uniquely placed to identify best practice options that address waste management requirements while complimenting and supporting, but not dictating infection prevention & control and health & safety necessities. Almost invariably, waste management audits will ignore or bypass these additional requirements that are essential to healthcare providers and employers. We will not do that. Instead, we seek to document existing waste management practices, waste container locations, packaging and source segregation, onward movement of wastes throughout the premises, and interface with waste contractors. Beyond this, we will look for and report and unsafe or deficient practices – taking immediate corrective action if there is a serious and immediate hazard – liaise with infection prevention & control staff to integrate waste management activities with their own requirements, often making suggestions for closer integration to save time and effort, and to bolster existing infection control arrangements. We cannot comprehend how other healthcare waste audit providers can complete their task while ignoring, or just not recognising, significant health & safety, general hygiene, and security issues. We will document these problems where they exist, and in consultation with those involved and their managers offer practical and effective solutions to safer practice. This may avoid or prevent serious incidents that would cause distress to staff and prosecution with large bills in litigation and compensation payments for injured employees. This work is not an option, and will not be charged separately. We believe that it is hugely important to manage wastes in concert with other key activities, and to support the health, safety and welfare of staff, patients, and others. There is far more than counting waste containers and creating a guestimate of waste segregation standards when conducting a healthcare waste management audit. Follow-up audit and more detailed management assistance can be provided as required, following review of an initial report. The audit service includes a comprehensive written review of the findings, promoting and supporting best practice, identifying targets for improvement or development, and identifying deficiencies where these may exist. This report provides a guide for subsequent and more frequent in-house audit, and as a comparator for annual performance review. Full client confidentiality is assured at all times. Note that a 1 day “snap shot” audit may be undertaken on a single day only. As activity varies with time of day, we recommend that this is undertaken over 2 half days, timed to coincide with the periods of greater activity. This additionally facilitates meetings with key staff. As time is short, some of the audit topics listed above may be limited in scope or excluded, but only by prior agreement and planning of the task. Audits are performed firstly, to include a standard top-down assessment of waste segregation. However, with a greater understanding of clinical activity and care delivery, this process can identify additional options for,for example, streamlining of product and procedure pack contents, to eliminate costly expansion of procedure pack ranges and the diversity of available dressing packs that inflate care costs. The overall condition and hygiene/cleanliness of waste containers and of the areas in which they stand will be examined. Staff awareness of waste management standards and performance will be evaluated through informal discussions with junior and senior staff members in every ward and clinical department. This will seek to identify training gaps and the rationalisation of waste classification and segregation requirements, particularly in those areas where the space available to accommodate an array of waste containers is limited. Moreover, sharing with staff their opinions and concerns, and taking the opportunity to identify innovation and best practice, provides the opportunity to engage staff at all levels in a common responsibility (or chore) and promote improvements wherever possible. This unique approach to healthcare waste audit ensures that any recommendation or advice will coincide with and compliment, rather than conflict with, clinical activities and existing, and sometimes inflexible, contracts for outsourced services such as cleaning and support services as well as contracts for waste disposal services. Clinical departments including Pathology departments and Mortuary services, Pharmacy, Imaging (Radiology) and Physiotherapy etc are not omitted, with additional assessment of their particular waste management requirements. This includes the perpetually thorny issues of disposal of used couch roll, ward-level drug waste, IV lines, and mattresses among others. Comprehensive 3 or 5 day audits, or more extensive audits that include a detailed evaluation of waste composition require advance planning, as do Trust-wide and multi-site audits. Please refer to the audit information sheet or call to discuss your particular requirements. If unsure, consider for one moment how frequently the most simple healthcare waste management deficiencies are recorded in adverse CQC reports – overflowing waste sacks and sharps bins, soiled waste sack holders and bins, inappropriate location of sharps bins etc are all listed, time and again, in CQC reports. All audits are provided with 1-year telephone support to answer you queries and questions, and to provide support through any transitional phase. For a comprehensive list of services available click here, or call to discuss your exact requirements.